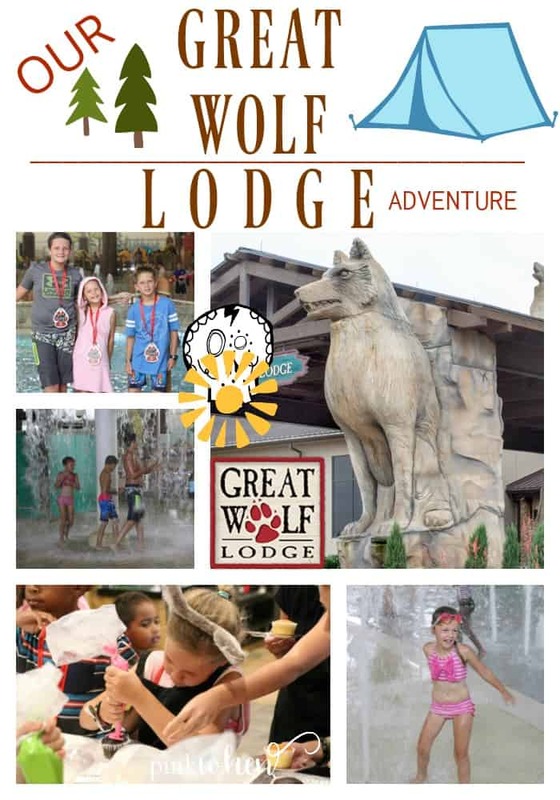 You are here: Home / Travel / Our Great Wolf Lodge Adventures! 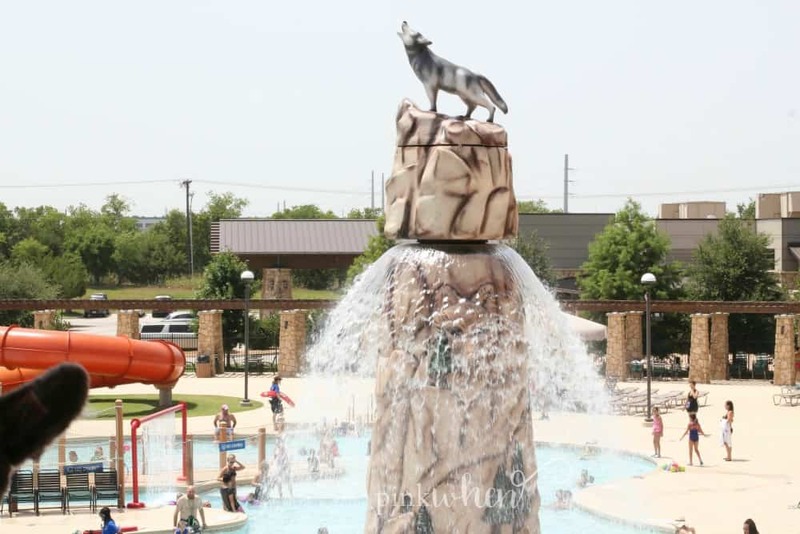 This summer my family and I were invited to visit the Great Wolf Lodge in Grapevine, Texas to be a part of JillianTube‘s birthday celebration. To say we were excited to visit is an understatement. None of us had ever visited before, and we were all eager to see what the Great Wolf Lodge would have in store for us! What I didn’t know is that the Great Wolf Lodge is more then just a waterpark. 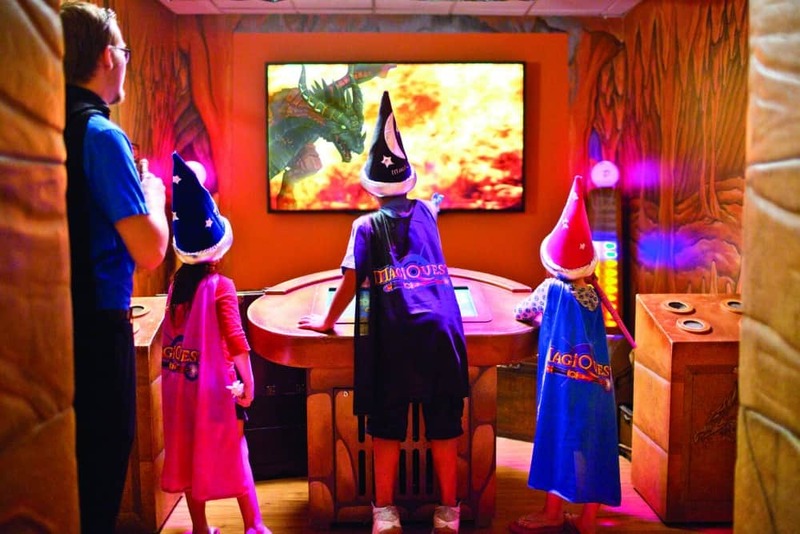 There are also dry play activities from arcade games, to MagiQuest, a ropes course, and more. WARNING: That arcade is ADDICTIVE! We had to drag the kids out every night, even after a long, full day of play. NOTE: Grab yourself a pass and save money! We found that the PAW PASS was perfect for our family, but they have several options for you to choose from. 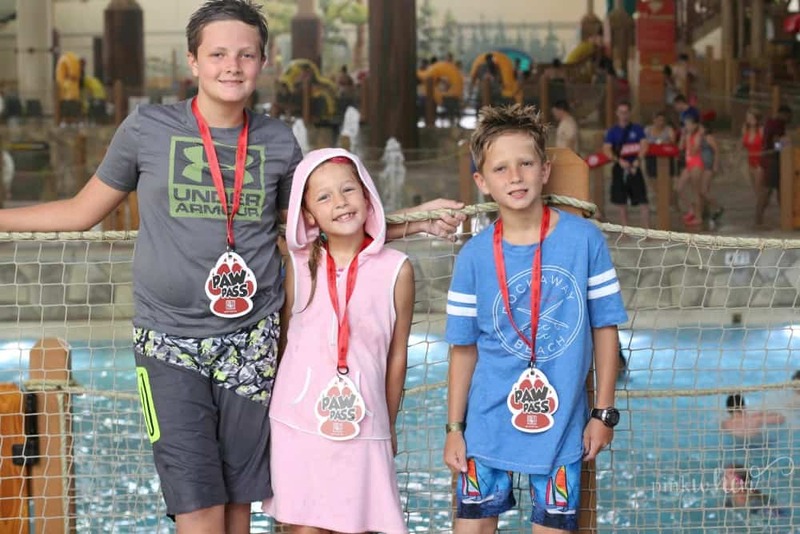 Great Wolf Lodge has three very special seasonal celebrations each year. Each celebration offers extra fun guest programming: Spring-A-Palooza, Howl-O-Ween and Snowland. Next up is Howl-O-Ween during the month of October, where guests can enjoy nightly trick or treating, a haunted house in the lobby, Spooktacular story time, monster bash dance parties, and more. FUN! There are a lot of choices when it comes to rooms. We were able to sleep all of us comfortably in a standard room with two queen beds and a pull out. They have options for all sized families, and even offer a new service for building your OWN fort in the room. You can even take your fort home with you when you leave – to remember the fun! Our time at Great Wolf Lodge was short, but it was a BLAST for the kids. Every day was so fun, with many special adventures and activities for the family to enjoy throughout the park. This is in addition to the plethora of activities that are added daily, such as bedtime stories at night in the lobby. One of my FAVORITE things about the park are the spa amenities. While I wasn’t personally able to partake in the adults only spa, (they stayed BOOKED! 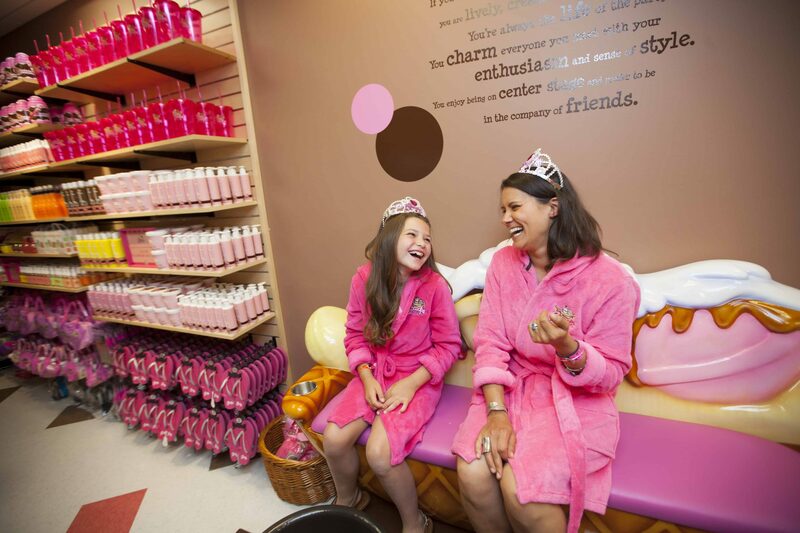 ), I did love that they had a youth spa as well. Perfect for a little mommy and me time while dad recuperates from all of the water slides. Once you check in, grab your wrist bands (also used as the room key for adults) and you are ready to run. 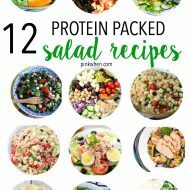 No need to carry around all of your personal items. However, there are lockers available around the pool and park area to store your valuables if you decide to bring them with you. Not only that, but towels are provided! And, if you feel the need to carve out your own space, book a cabana! The slides and the pools are where all of the activity is at. My kiddos were like little fish playing in the lazy river, the huge wave pool, and of course, all of the amazing slides. It’s what they were the most excited about. Depending on the weather, you can use the water park on the outside or the inside. Our family had a blast at the Great Wolf Lodge in Grapevine and we look forward to spending more time there again in the future. 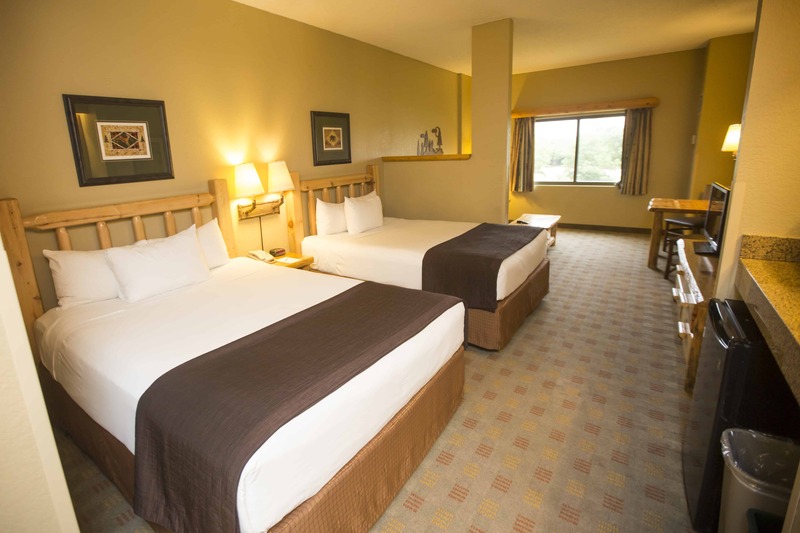 If you haven’t visited Great Wolf Lodge, head over here and find the nearest location.